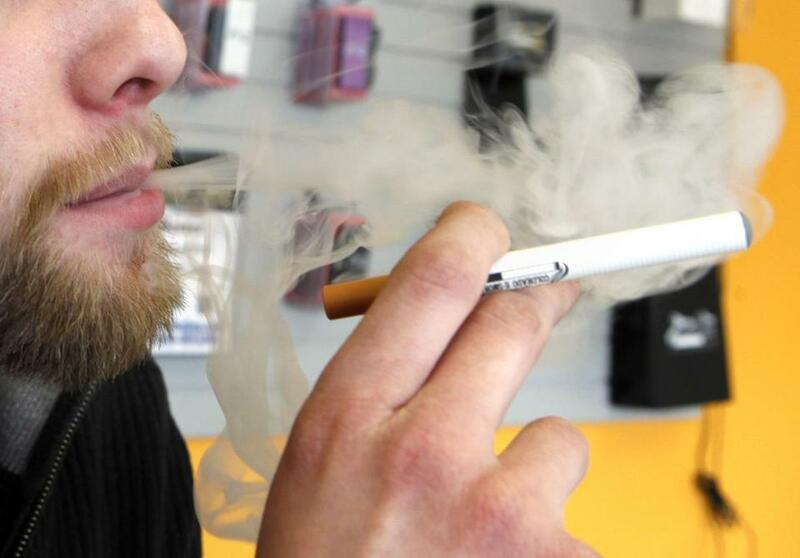 E-cigarettes emit a smoke like-vapor. You might not get lung cancer from e-cigarettes — but that alone doesn’t make them safe, and doesn’t mean that federal regulators can turn a blind eye to growing evidence of the other dangers the liquid-nicotine delivery devices can cause. The popularity of e-cigs has exploded in recent years, as manufacturers promote them as a guiltless alternative to tobacco smoking. But as e-cigarette use has grown, so have accidents: The liquid nicotine refill bottles are poisonous, and the number of nicotine poisonings has gone up rapidly across the nation. In particular, many children drink the refills, which often come in flavored versions. Now, several senators, including Ed Markey of Massachusetts and Jack Reed of Rhode Island, are calling on the FDA to move much more quickly to regulate e-cigarettes; the possibility that the product may provide a gateway to real smoking is one more reason for greater scrutiny. The FDA said in an email to the Globe that it is seeking an “appropriate level of regulatory oversight” but that the issue remains “under review” at the White House’s Office of Management and Budget. With scores of preschool children now being poisoned around the nation, it is time for OMB to expedite its review. A new study highlights the lack of evidence to determine whether e-cigarettes are a good smoking cessation aid.